Are you looking for January 2020 Florida flights? We have advance fares on Virgin, British Airways, United and Norwegian. 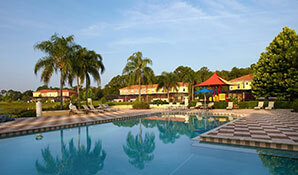 Combine Orlando flights with accommodation and car hire for an excellent package rate. If you’re planning a Florida holiday on a budget, January is a great time to visit; some of the cheapest fares of the year are available. Avoid the weekends – Tuesday and Wednesday flights are typically the best choice. Expect rock-bottom prices, even on direct routes. We achieve great-value fares without compromising on quality; we book with the major airlines including BA, Virgin, Norwegian and United. January 2020 Florida flights will be released in February 2019. But don’t wait until then – for best value, book in advance. As soon as the flights are released, we monitor prices and book seats at the best possible fare. The earlier you book, the more time we have to achieve the best price. Direct flights from Gatwick and Manchester are great value throughout January. Heathrow’s indirect flights are a great option during peak season, but they’re not worth considering in January. Prefer to fly from your local airport? We book connecting flights for a small supplement. Aberdeen, Glasgow, Inverness, Belfast, Isle of Man, Jersey, Exeter and Newquay all have convenient schedules. Contact us for more options. Direct flights to Orlando International airport are excellent value throughout January. Tampa Airport, on the west coast, occasionally has even better fares. If you’d like to consider this option, let us know. How much are you expecting to pay for your January 2020 Florida flights? High street prices can be over £500 per person. If you book a midweek flight in advance, the fare could be as low as £345 per adult and £265 per child. We’re already taking bookings for 2020 Florida holidays, so don’t delay. The earlier you book, the better chance we have of achieving the best price. For best value, combine your January 2020 Orlando flights with accommodation and car hire. We have a huge range of villas, townhouses and hotels to choose from. Let us know your requirements on our online enquiry form and we’ll provide a great-value quote for your Florida holiday. Or call Alex on 07944 584 659 for an instant price. Book today with a deposit of £100 per person. Balances are payable 90 days before departure, giving you plenty of time to budget. All our January 2020 Florida flights and holidays are ABTA and ATOL protected.